The Savin MP 501SPF is a compact A4 B&W mid-volume MFP powerhouses that deliver a full print, copy, scan, fax, and document storage feature set at 52-ppm respectively. 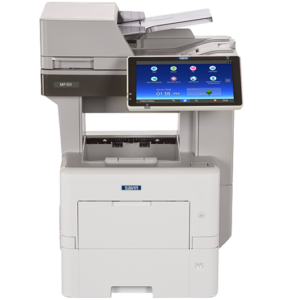 This new MFP is designed to support the needs of busy mid-size workgroups generating an average of 5,000-pages each month. 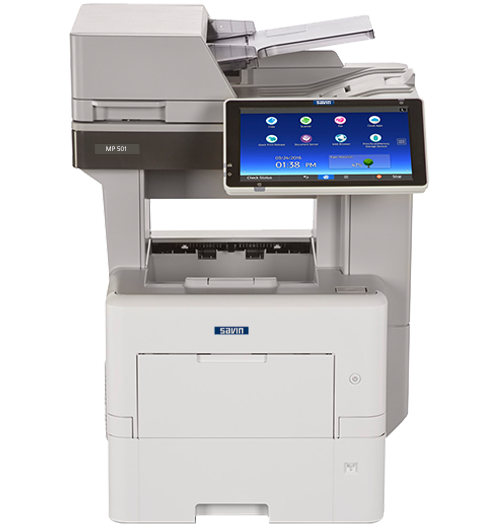 The MP 501SPF combines Savin’s 10.1” Smart Operation Panel with Savin’s Advanced Controller architecture to provide users access to device customization, enhanced usability with Smart Apps, mobile printing with the Savin Smart Device Connector app, and complex workflow solutions previously not found in a Savin A4 B&W MFP. This device also provides a low cpp and virtually maintenance-free performance with a 500K yield Drum, Development Unit, and Fuser Unit.